What are Honda Civic 10th Gen Type R – 6 Best Features? Finally, finally, the change is here. Your patience has been rewarded with the Honda’s Civic Type R launch in the United States. These cars have already shown up on the roads of Australia, Europe, and Japan and now they are ready to shoot on the streets of the US. For this generation, Honda has decided to throw a bone to America – a 306-hp turbocharged bone. Recalling the other lineups in the Civic, this generation is the fastest production on the planet Earth while offering HD- radio, navigation, Apple CarPlay, speaker stereo and what not. So, let’s dig a little deeper to check out the amazing features of the 10th Generation, Honda Civic Type R, 2017. 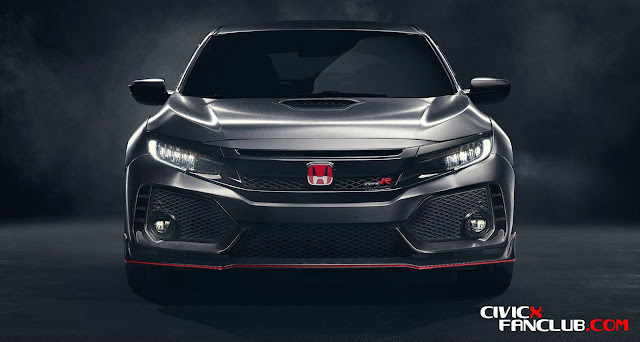 The all- new Honda Civic 10th generation Type R is the fastest and the hottest cars ever launched in America, globally. 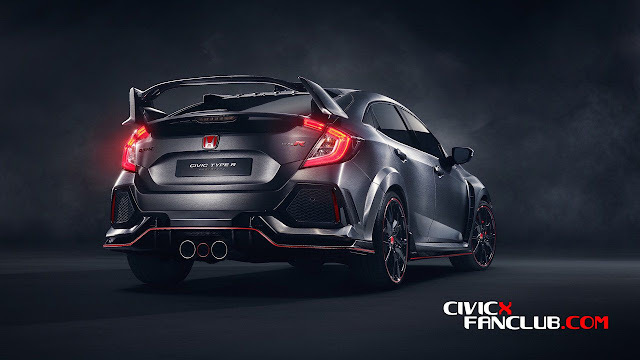 As this edition is the fifth one in the legendary Civic Type R, it has broken the stereotypes in all aspects, ranging from its looks to its performance, from its technology to its power. While handling the car quality, ride quality, high- speed stability, luxury class steering, rigid body and much more, the Honda Civic is something worth considering. The car is really, really good and you need to check its amazing features RN. The fifth edition of Type R model is featuring the fifth time’s the charm. As mentioned earlier, the model is pretty enough to catch your attention on the roads and if not the whole car, its wing, and badge are pretty hard to miss. The trims are perfect and the offers 4- doors along with a hatch. Believe it or not, it is the biggest shift in the Honda’s Type R models and why not? Of course baby it’s the 21st century! We are surely in love with its aggressive looks, front fascia, and its wide appearance. You haven’t tried those toe-heel downshifts like the Fast and Furious? If no, Honda Civic Type R 2017 has got your back. That simply means the car is turbo’d and so inline- four motor that can essentially tolerate a very healthy 295 pound-feet of torque at just 2,500 RPM with the maximum output of 306 horsepower. Moreover, Honda has introduced, for the first time, an auto-blip downshift system that can get you covered with the tow-heel downshifts, smoother shifts and power delivery. Honda always focused on the “comfortable interior” of their Honda Civic, essentially with the hottest looks on the exterior. Their new model in the Honda Civic lineup simply means posh comfort with the softest seating, lightest steering and relaxed throttle. The Type R comes with the three driving models and of course, the best one comes with the best comfort. Believe it or not, this “post comfortable” model is actually comfortable with the lovely lathered seats with the built-in heating system. Unlike the most of the cars out there, the Honda Civic 10th Generation, Type R model is built to run, run and run. This is not what we are saying. 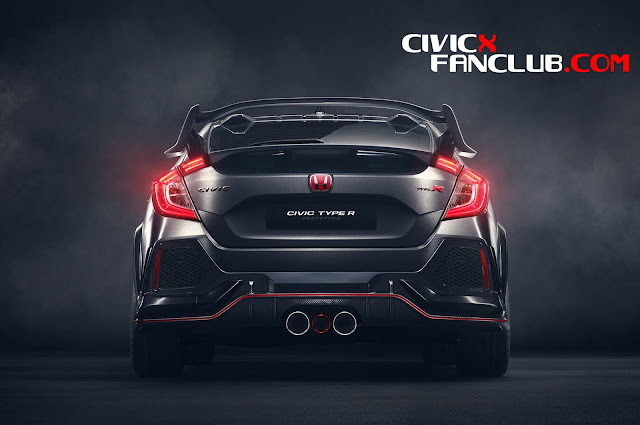 This fact has been revealed by the instrumented test that shows the computer of the engine in the Civic lets it rev only to 3500 rpm, making the optimal launch to modulate the clutch and the control to avoid bogging. Moreover, the sharp helms are moderately tactile that makes it easy to review the car’s grip limits. The R rotates smartly yet brusquely when driven into the corners, only giving the steering a minor tug. That all makes the R model the quickest front-driver ever tested. Another fantasy of living, the 2017’s model of Honda Civic Type R offers the impressive touch, 7 inches infotainment system that offers a lot of functions to perform. This gauge- cluster display can display all, including the camera view, the navigation, the audio player, the radio, and the maps, or anything you want. Even, you can surf the internet using your personal hotspot or Wi-Fi, while you have parked the car. Aside all the above features, the Honda Civic Type R model is equipped with the 26 cubic feet cargo space behind. Well-equipped with the LED headlights, dual-zone automatic climate control, Apple CarPlay, Android Auto Connectivity, 540- Watt premium stereo and much more is included in this exclusive model. And yes boy, they did it! The 2017 Honda Civic Type R is a remarkable car model with the new benchmark. The $34,775 price in the market is considerably worth its features and the specs. So, it would not be wrong to call it the hottest Honda Civic offered in America. When To Change First Oil on Honda Civic X in KM & Miles?